Happy V-Day! Have some Tea and Bats! Happy Valentine’s Day! 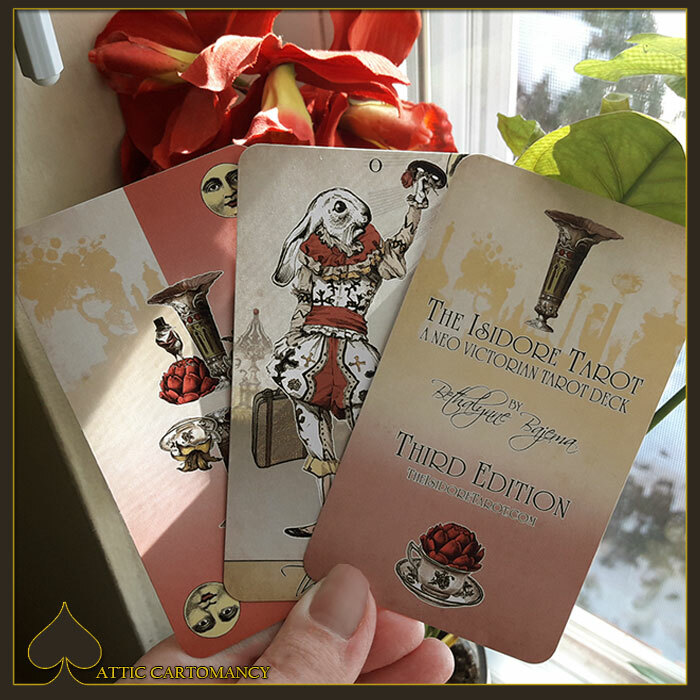 To celebrate the day we’ve added our second sale for the Tea Bats Lenormand deck featuring the second edition. 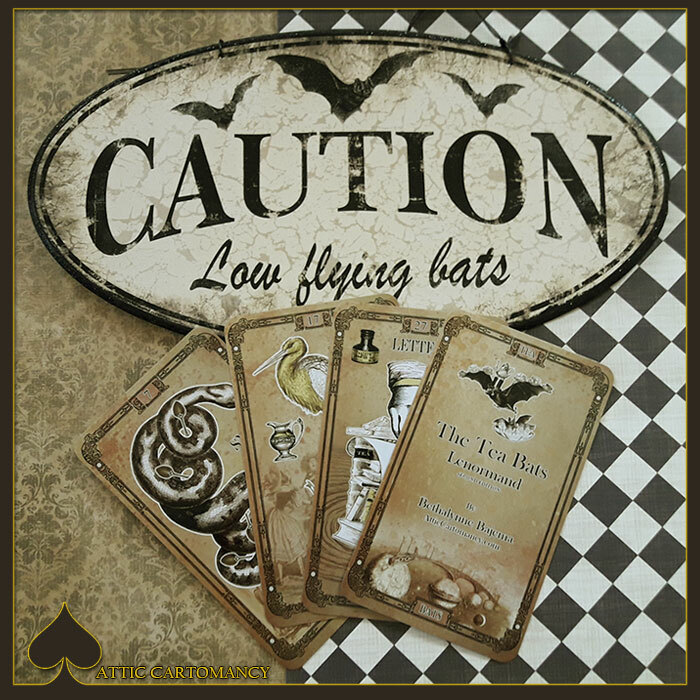 Each order will come with a collection of new Tea Bats mini prints. 🙂 This sale begins today and concludes March 24th. Estimated shipping begins mid-April. Order here! 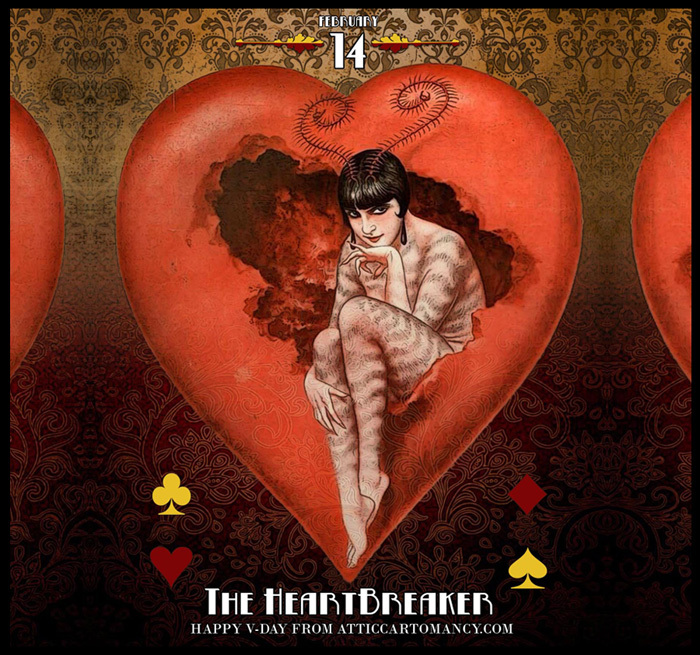 The Tea Bats Lenormand second edition will begin it’s second sale this approaching Valentine’s Day. Sale will fun Feb 14th through to March 20th, with shipping the first of April. Check back again Tuesday. 🙂 More info to come. I had a nightmare last night. Not to be so literal with this card, but I did. It came after a day of unhappy remembering. It was time to send out updates to my family. I sent my aunt a progress shot of my healed knee. But to nab it, I saw a preview of the original injury. Jarring. Later I had a nice talk with my mother-in-law and she asked for a run down on my healing. Then told me, now that so much time had past, that after raising three hyper, injury prone boys she wasn’t squeamish. But when she saw my knee it looked like the place where you tear a chicken thigh off of the chick’s body. Sobering. Finally, when Myke and I left to grab dinner, after weeks of being free of it, I got vertigo at the top of our front steps. Meh. So naturally I had a nightmare during sleeping hours. A sentient staircase was following me around promising me a bottomless bowl of reese peanut butter cups at the top. It was all shadowy and sneaky sneaky. I kept trying to tell it to go away. “Not if you had the last peanut butter cup in the world Mr Spooky Stairs!” And that says something. I do love me some reese. 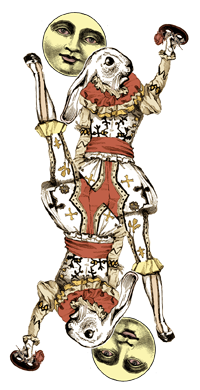 I’ve seen samples of this deck for awhile now and absolutely adored it, but until today I hadn’t sought out the wonderful artist behind it. 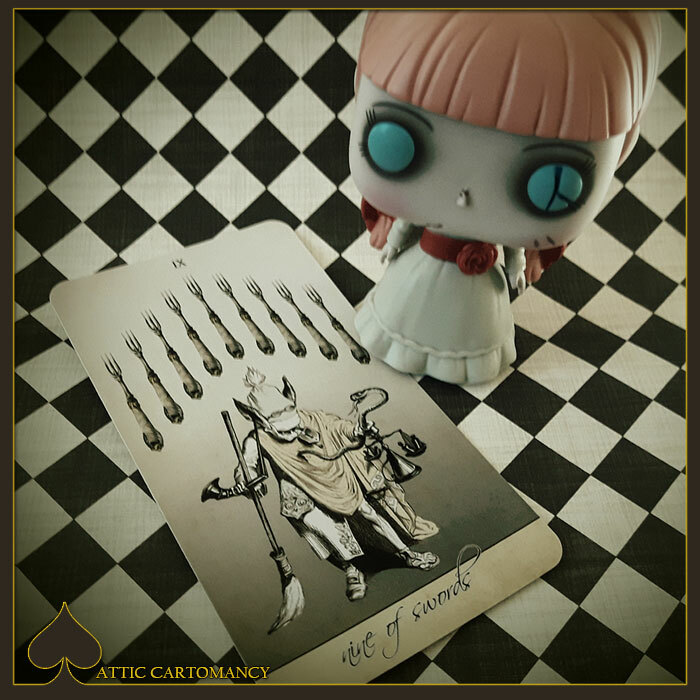 Nicoletta Ceccoli’s tarot world has a place in the memories my haunted (once a) little girl heart has. Everything is soft and dreamy, highly surreal and painted in soft colors, but all kinds of dark lurking around the corners. I was a strange little girl once upon a time so I can appreciate this. This decked was published by Lo Scarabeo in 2014 and is still readily available online at Amazon and through the Lo Scarabeo site. There also appears to be a mini version of the deck as well! You can see more of Nicoletta’s beautiful work here.